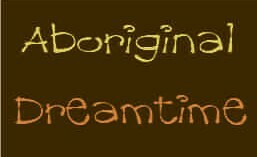 Part of the final exhibition from Cotswold Dreamtime, an Aboriginal Art project with Thrupp, Randwick and Whiteshill Primary schools. Project co-ordinated by Stephen Rowley and fellow artists Alison Cockroft and Shelley Campbell. 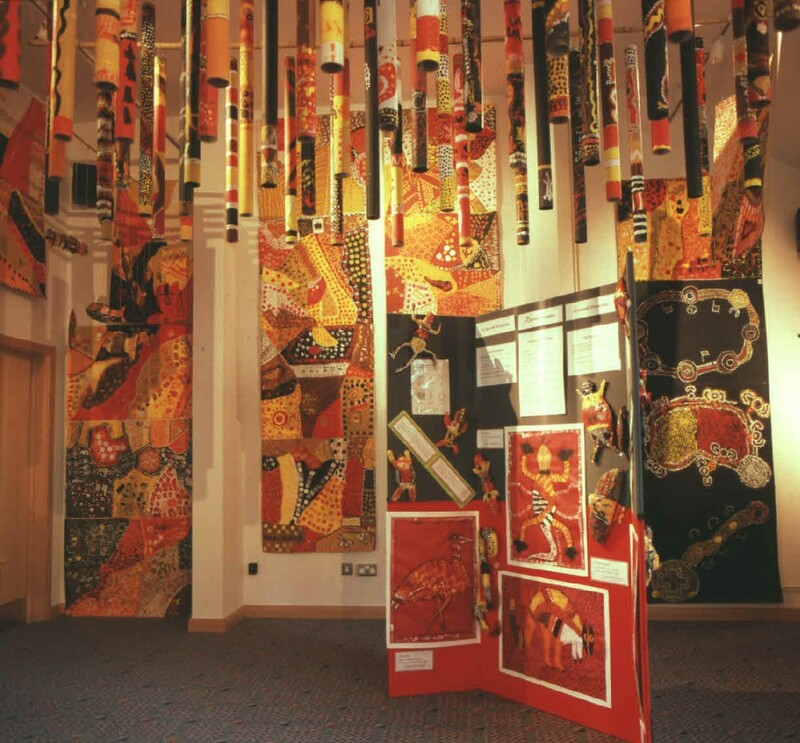 ‘The best primary school art exhibition I have ever seen’ Head of the LEA. 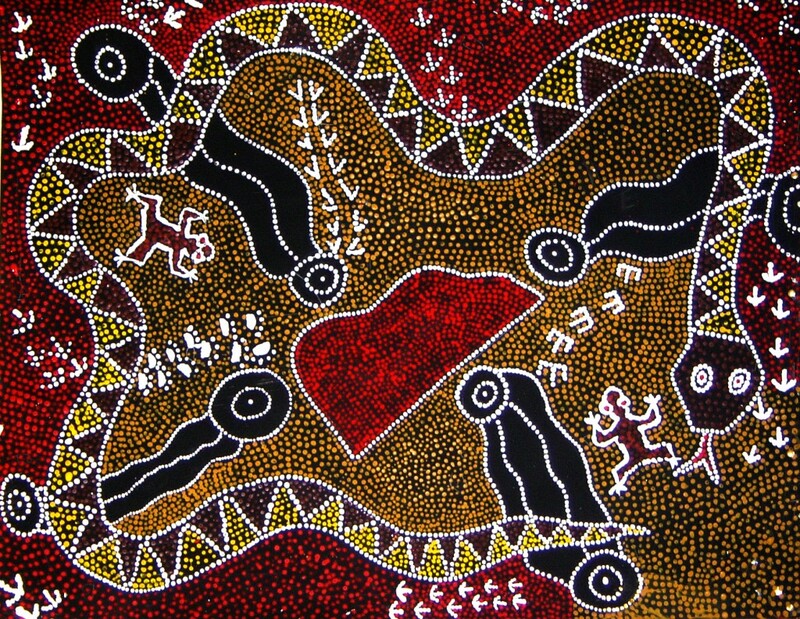 These are ideal workshops for the Aboriginal Art topics in primary and secondary schools, especially ‘art weeks’ and learning about different cultures. The workshops are available as 1 day workshops and 2-5 day projects across England and Wales.